Classic style that can't be beat! 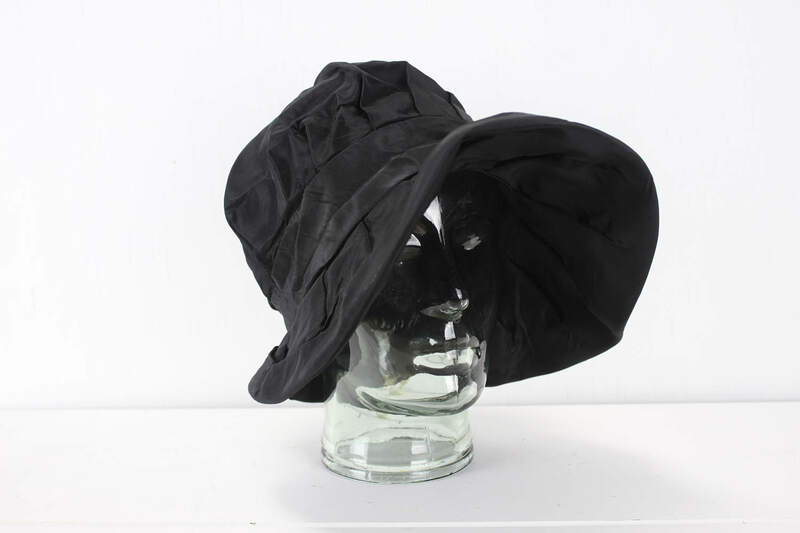 This wonderful & light cloche is made with a black rayon that is in amazing condition. 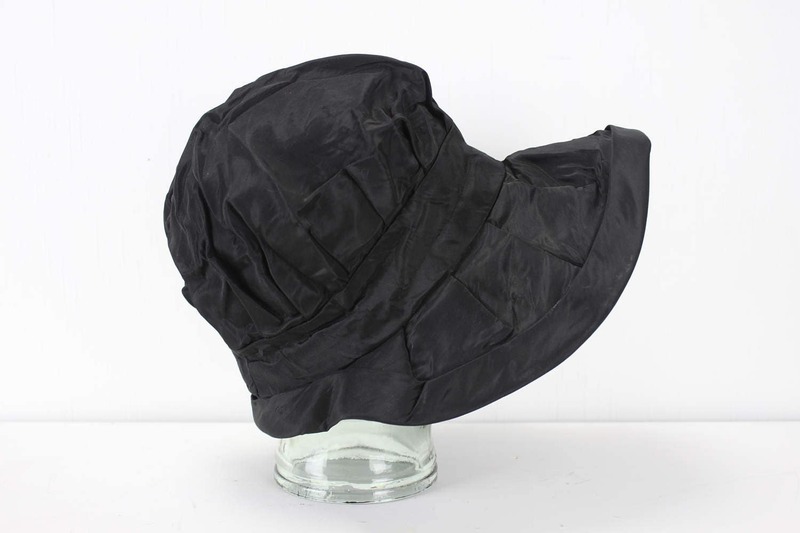 This hat is unmarked, unlined and but has a very professional and sturdy construction. 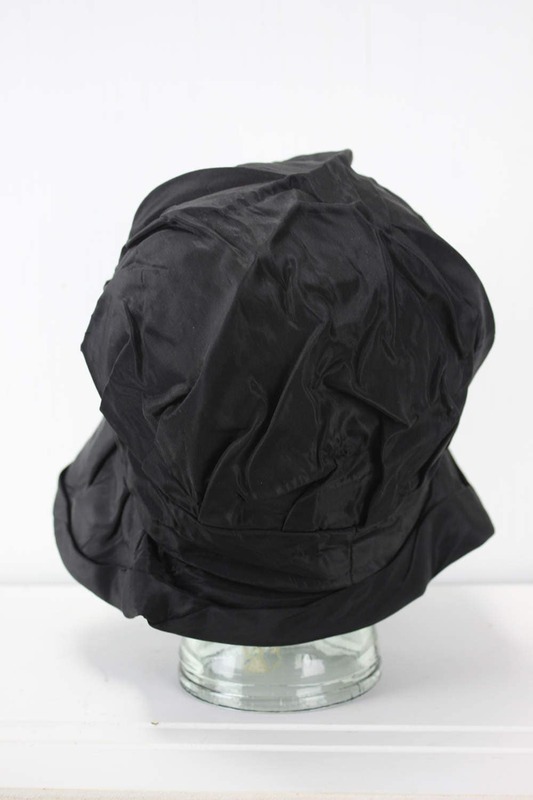 Sewn entirely with single needle stitching with a cardboard core brim! 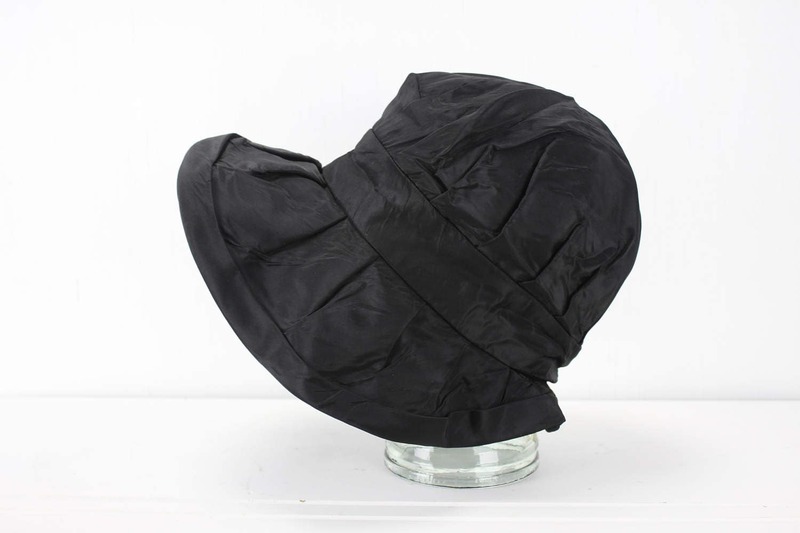 The hat band measures 19.5-20" (51-52cm). 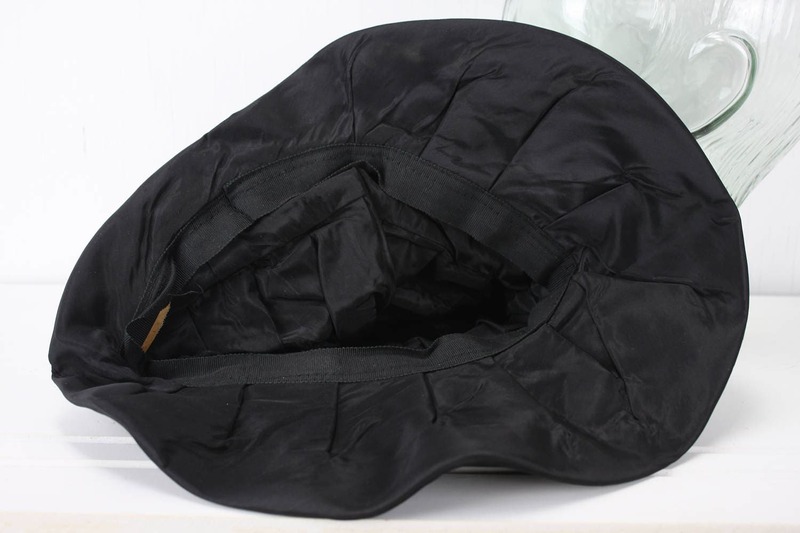 - Band: 51-52cm or 19.5-20"